May is Arts Month at Williston, and it’s been busy! Over the past few weeks we’ve featured our sold-out Spring Musical, In the Heights (see photos at our Flickr page) and our Spring Instrumental Concert (photos coming soon!). As the year comes to a close, several more fantastic student performances are coming right up, so mark your calendars! Friday, May 20, and Saturday, May 21: Spring Dance Concert, “Music Made Visible,” Williston Theatre, 8 p.m.
Tuesday, May 24: Spring Choral Concert, “Songs of Love and Betrayal,” Phillips Stevens Chapel, 7:30 p.m.
Wednesday, May 25: Williston Scholars Artists Reception, Grubbs Gallery, 6 p.m.
Thursday, May 26: Eight Grade Art Show and Shakespeare Performance, Williston Theatre, 6 p.m.
On Friday, May 20 and Saturday, May 21, Williston students present “Music Made Visible,” the spring dance concert, at 8:00 p.m. in the Williston Theatre. 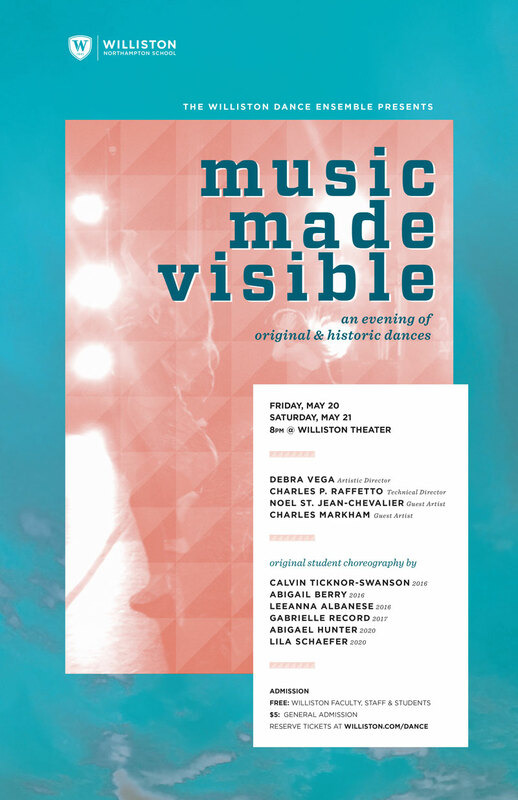 After finishing a sold-out run of the Williston musical In the Heights, many participants in that show are dancing on and gearing up for a spectacular Dance Ensemble Spring Concert called Music Made Visible, directed by artistic director, Debra Vega. 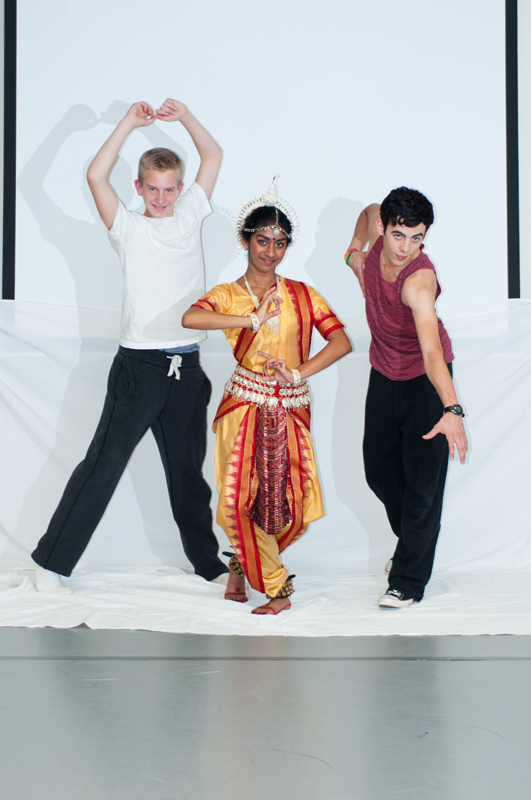 The performance will feature a range of styles, such as tap, jazz, ballet, contemporary, musical theater, and hip-hop. The Williston Dance Ensemble consists of students from both the middle school and high school, all who possess amazing sparkle and talent. Come support them as they “kick off” the end of the school year. A classical Indian dance, a solo en pointe, and the choreography of guest artist Michelle Marroquin will be among the highlights of Shockwave, the fall concert of the Williston Northampton Dance Ensemble. The concert will feature 12 dances, including the work of six student choreographers—Victoria Durocher, Keely Quirk, Madeline Wise, Marie Innarelli, Tory Kolbjornsen and Maddison Stemple-Piatt—and a collaborative ensemble piece by the choreography class. View the promo video by Alex Kozikowski ’14 here. 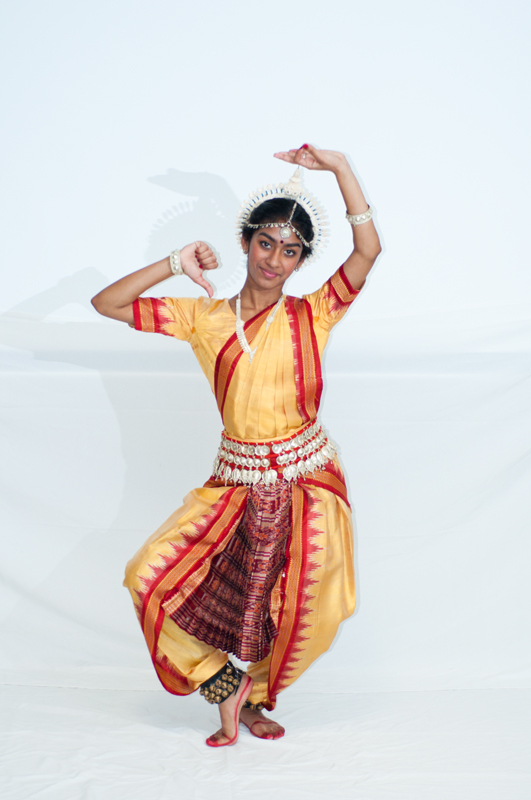 To find out more about how one of the dancers, Pankti Dalal, was preparing for “Shockwave,” Dance Program Director Laurel Raffetto asked her about dancing, the Williston program, and her classical training.